Play games. Have fun. Win Ark. We give away Ark cryptocurrency every day to the winners of our games. No special rules or minimum payouts. Totally free to play and you can boost your prize by voting for the 'fun' delegate. It is as simple as that - truly win money for free! We provide HTML5 games that are playable within your web browser or on your mobile phone or tablet and we pay out Ark cryptocurrency to the highest-scoring player of each game every day. Enter your Ark address when you play a game, and if you're the highest scorer by midnight UTC, you'll receive free Ark in your wallet. You can check the high score table to see if you have a winning score and you can play as often as you want. Good luck! Prizes are funded by the fun delegate. Please consider voting for us if you like what we offer. You could boost your prize if you do! 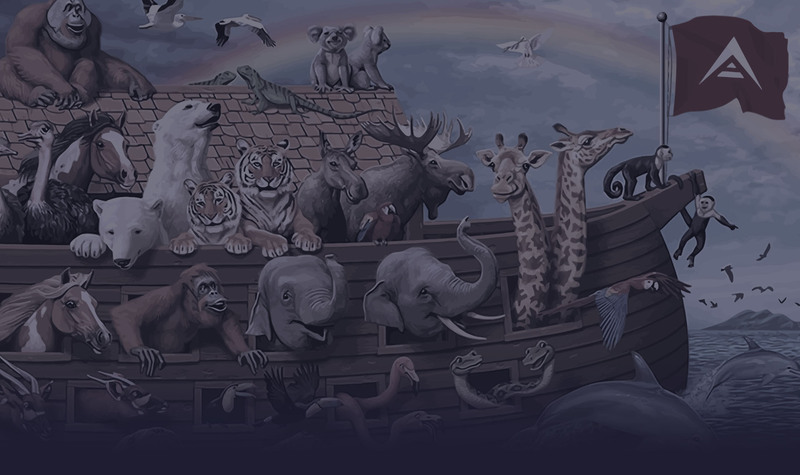 Save the animals from the flood by swapping adjacent tiles to build chains of 3 or more to bring them to safety inside your Ark. Earn 10 points and an extra second of game time for every animal you save. Two alternative modes are also available based on the Deluded Arkies meme and cryptocurrency logos. The highest score at midnight UTC receives free Ark cryptocurrency straight into their wallet. Control your ninja and help him to jump across platforms to collect various cryptocurrencies along the way to earn points. Earn two seconds of game time and varying points for every item you collect. Read a full in depth guide to playing the game on the ArkFun.io blog. Forget Survival Evolved, here is Ark's own dinosaur game! Jump over the obstacles and avoid the pesky pterodactyls to score points as the game gets progressively faster. Play with five different prehistoric characters! Which one is your favourite? We're not finished yet. Many more games are on the horizon, so please keep checking! In the meantime, until they're ready, why not play Match 3, Bold Ninja or T-Grexx? Vote for delegate fun with your Ark wallet and you will automatically receive a 50% bonus if you win one of our prizes as long as you remain a voter and maintain a balance of at least 50 Ѧ. You must already be voting for fun when you play, and keep voting for us when you are due to be paid your prize, to receive your bonus. If you have a question not answered here, hit us up in the Ark Ecosystem's official Slack, Discord or on Reddit. We believe in Ark and its future. We want you to believe in it too, which is why we are incentivising the adoption of Ark by giving away Ark cryptocurrency every day in a hopefully fun way. We provide games with a daily high score table. The highest scorer wins free Ark every day as long as fun is an actively forging delegate. You can play the games on desktop or mobile. The top 51 voted delegates are responsible for processing transactions and securing the Ark network. Delegates forge roughly 211 new blocks on the Ark blockchain per day, and for each block forged, a delegate is rewarded with 2 Ѧ. This equates to 422 Ѧ in daily rewards. Delegates are free to do what they want with their rewards, and most elect to share a percentage with their voters. Only the top 51 delegates can forge blocks and receive rewards. Without these rewards we can't pay any prizes, so voting for delegate fun helps sustain the project. We share 70% of our forging rewards with our voters, with 5% going to the daily prize pool and the remaining amount covers the costs of running ArkFun.io, further game development, and securing the Ark network. Voter rewards are paid daily for any voter who has accrued at least 0.5 Ѧ in rewards and weekly for all other voters regardless of balance. No really, why should I vote for you? Delegate fun is consistently one of the most productive delegates according to the Ark blockchain explorer, so we forge the full allocation of daily blocks on most days. In other words, there are more rewards to share with you! This, with our guaranteed payouts with no minimum amount, means everyone will receive a regular payout that is higher than many other delegates who are currently actively forging. You'll also receive substantially larger prizes if you win any of our games here on ArkFun.io! 7 Ѧ will be paid to the highest scorer of each game at 00:00 UTC each day. This can be boosted by 50% (to 10.5 Ѧ) if the player is a voter of the fun delegate and holds at least 50 Ѧ in their wallet. They must have been voting for fun with at least 50 Ѧ in their wallet when the score was set, and must continue to do so by 00:00 UTC when the payout is made to be eligible for the boosted prize. These amounts will decrease when more games are launched. Why are prizes sometimes less than stated? The prize fund is financed by 5% of the delegate's forging rewards. In competitive times, sometimes fun gets voted out of the top 51 for a while. When that happens, we stop forging Ark, and that means the prize fund is reduced accordingly because we don't produce enough Ark to cover the whole amount and we can't give out what we don't have. The best way to try to ensure this doesn't happen is to vote for delegate fun so that we don't stop forging! Why do Match 3 games sometimes end early? 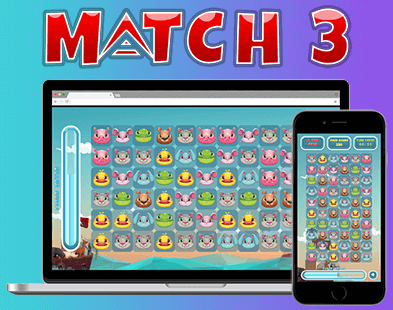 Match 3 games end if you run out of time as depicted by the graphical time meter or if there are no more valid moves that can be made on your board. Instead of wasting your time and causing frustration by searching for non-existent matches, the game will end early. This means that you can be sure that there is at least one valid move remaining in the game if the timer is still ticking. If you wait 8 seconds, you'll see a hint. 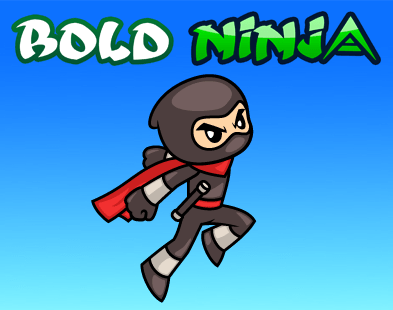 How do you play Bold Ninja? Bold Ninja is an infinite runner. You can make your ninja jump across the platforms by tapping on a touchscreen, clicking the mouse or pressing any key on the keyboard. He can also double and triple jump if you time your jumps properly. Avoid spikes, bombs and water and the exit scamming mascot. A more comprehensive guide to playing the game can be found by reading the explainer article about the game on our blog.